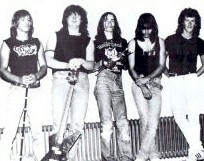 In April '83 five guys decided to start a new band, coming from bands like Aggressor (Jan and Rene), Headbanger (Edwin and Marcel) and Exterminator (Richard). 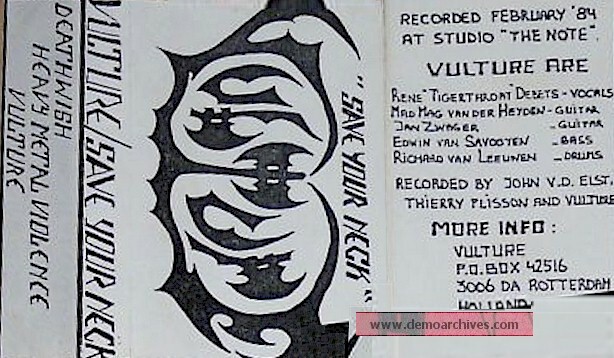 In February '84 the band released it's 1st 3-track demo, 'Save your Neck'. The 2nd demo, recorded in September '84, 'Breathtaking' delivers the same HM power! In the meantime the band appears with 2 songs, 'Vulture' and 'Slough of Despond', on the Heavy Touch compilation LP. As support for the LP the band joins the Heavy Touch tour with several bands from the LP. 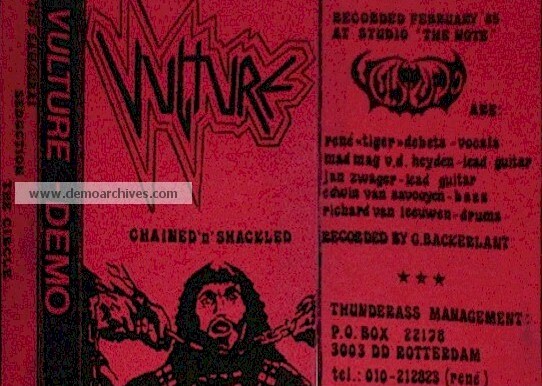 Live the band is doing support gigs for bands like Manowar, Laaz Rockit and Overkill.Then a 3rd demo 'Chained 'n' Shackled', recorded in February '85, was released with another version of 'The Circle' on it, 'Seduction' and the speedy neck breaker 'Samurai'. 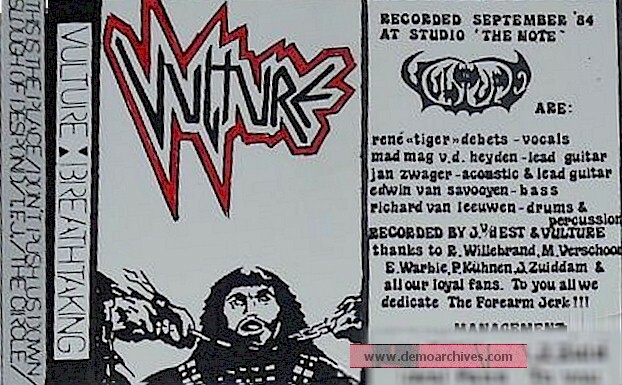 It marks the end of the 1st Vulture period because soon after it's release frontman Rene Debets and guitarist Jan Zwager leave the band and are replaced by singer Robert Soeterbroek and Andre Tolhuizen. The band moves into another musical direction. 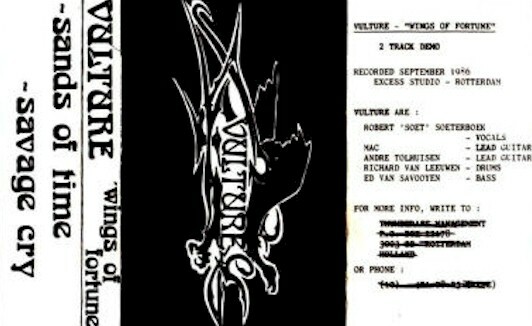 The Wings of Fortune demo shows a Vulture which uses more technical skills and even more tempo breaks. The band develops its style more and more towards Thrash with still good melody lines. In '88 Robert Soeterbroek and Richard leave the band because they got tired of waiting for a record deal. Richard moves on to Tempter, but Robert returns not long after his departure. Drummer Dirk Bruinenberg takes the seat of Richard. 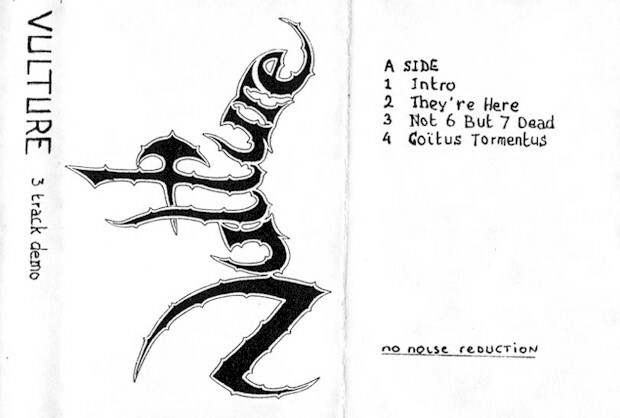 In '89 their 3-track demo is even more Thrashier than before. But finally, a record deal for a full length album is made. Overdrive Records (owned by people from the 70s glamrock band Catapult) signs the band. In '90 the release of 'Fatal Games' is a fact. A straight forward thrash/speed metal album of good quality. The album is received pretty well, according to the good reviews.